Look deep into nature, and then you’ll understand everything better, said Albert Einstein. If you have visited even one National Park or Wildlife Sanctuary, these words would resonate to you also, like how they resonated to me. Ever since I moved to Bangalore a few years back, I’ve rekindled my love of travel by exploring the Great South Indian tri-state region – Karnataka, Kerala and Tamil Nadu. I’ve been to coffee and tea plantations, stayed at homestays, explored ancient ruins, climbed hills and giant rocks, stayed on mountains and lounged at beaches. But my favorite experience of them all is discovering my wild side in a wildlife sanctuaries in South India. Here are a few of my favorite wildlife haunts at Top Wildlife Destinations of South India. Periyar Tiger Reserve, Thekkady in Kerala, sprawls over an area of 925 sq kms and is one of the 27 tiger reserves of India. The reserve is rich in biodiversity and boasts of breathtaking scenic beauty. Periyar Tiger Reserve is nestled in the Cardamom Hills and Pandalam Hills of the Southern Western Ghats of South India. Catchment of Periyar river forms a major portion of the and the rest of the area is made up of catchment of Pamba river. The major attraction for tourists is the tigers obviously, but also wild elephants. While the elusive Royal Bengal tiger may be hard to spot, your trip to Periyar Tiger Reserve will surely be made worthwhile by the fact that more than 35 species of mammals, 265 species of birds, 45 species of reptiles, 40 species of fish and 160 species of insects have made it their home. The Reserve is located about 114 km from Kottayam, 135 km from Madurai and 190 km from Ernakulum. Madurai airport is the closest, Cochin coming a close second. The months of September to May are ideal for visiting, with March and April being the driest months, which means more animals will probably come to the watering holes during these months, greatly increasing spotting opportunities. Spread over 827 sq kms, Bandipur National Park, along with Mudumalai Wildlife Sanctuary in Tamil Nadu, Wayanad Wildlife Sanctuary in Kerala and Nagarhole National Park also in Karnataka, creates the India’s biggest biosphere reserve popularly known as the ‘Nilgiri Biosphere Reserve’. Bandipur National Park is about 80 kms from Mysore surrounded by picturesque mountains of the Western Ghats on the Mysore-Ooty highway. The beautiful Kabini river is to the north of this park and Moyar river is to its south. 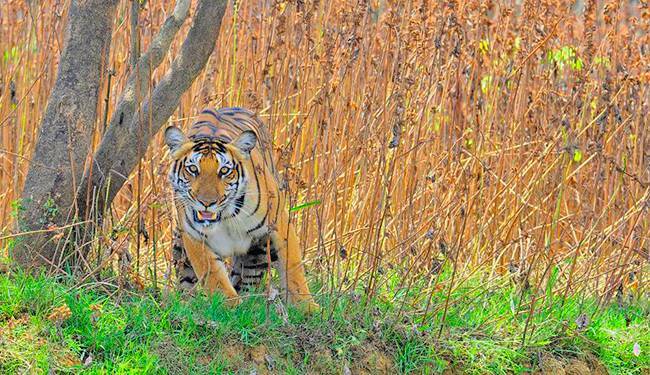 Bandipur National Park is easily one of the top wildlife destination in whole of South India. Gopalaswamy Betta is the highest point here and is a popular picnic destination where trekking can be arranged by prior permission. There are several accommodation options, including jungle lodges and eco-friendly tourist homes. Ooty and Coonoor are the hillstations near Bandipur National Park and make for a delightful stay in the Nilgiris after spending some time in the wild. At 97 sq kms, Eravikulam National Park is relatively smaller in size, but don’t let its small size fool you. It is home to the largest viable population of the endangered Nilgiri Tahr (mountain goat of the Nilgiris). And besides the tahr, it is also home to several species of not-so-known and unusual wildlife, such as Nilgiri marten, ruddy mongoose, small clawed otter and dusky striped squirrel. The park is about 15 kms from the lovely hill town of Munnar and can be visited between the hours of 7 a.m to 6 p.m.
Eravikulam National Park is one of the most beautiful wildlife parks in South India. 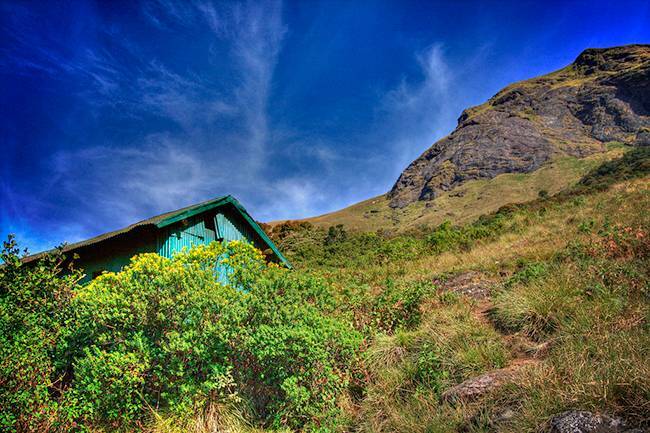 Anamudi, the highest peak south of the Himalayas, stands at the center of the park. At Rajamalai, visitors are introduced to the beautiful Shola-grasslands ecosystems and an interpretation center here also explains the importance of this ecosystem. 26 species of mammals, 132 species of birds, 101 species of butterflies and 19 species of amphibians have been spotted at the park. Nagarhole National Park, located about 80 kms from Mysore, is spread over 643 sq kms and was once a hunting reserve for the erstwhile rulers of Mysore, the kings of the Wodeyar dynasty. In 1955 it was named as a wildlife sanctuary and in 1988 it became a national park. The name Nagarhole is derived from the Kannada word ‘naga’ (snake) and ‘hole’ (streams or rivulets) and true to its name the national park has numerous streams flowing through it. It is flanked by Kabini river on the north and Bandipur National Park on the south and a dam on Kabini river and the reservoir created by it separates the two parks. October to May is the best time to visit Nagarhole National Park to enjoy the bounty of nature and the opportunity to spot several species of animals and birds, including tiger, leopard, sloth bear, hyena, deer, antelope, gaur, wild cats and more than 250 species of birds. 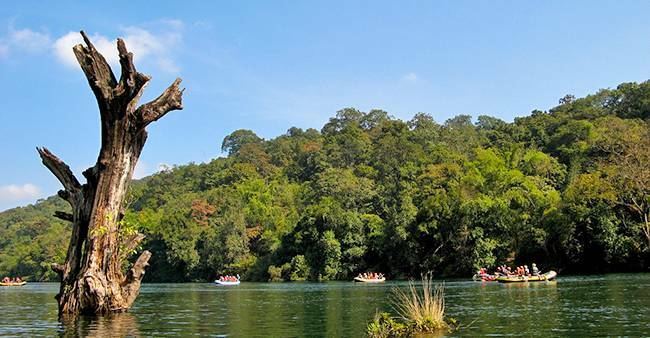 Located on the banks of river Kali, in Uttara Kannada district, Dandeli Wildlife Sanctuary is spread over 834 sq kms and is the second largest sanctuary in Karnataka. 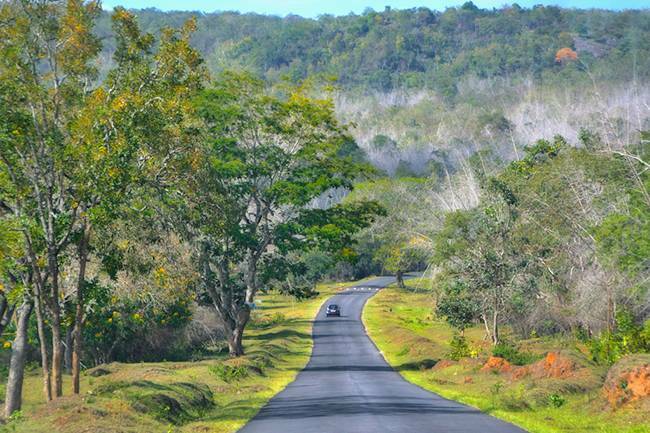 It is located at a distance of about 485 kms from Bangalore and just 125 kms from Goa and 95 kms from Belgaum. 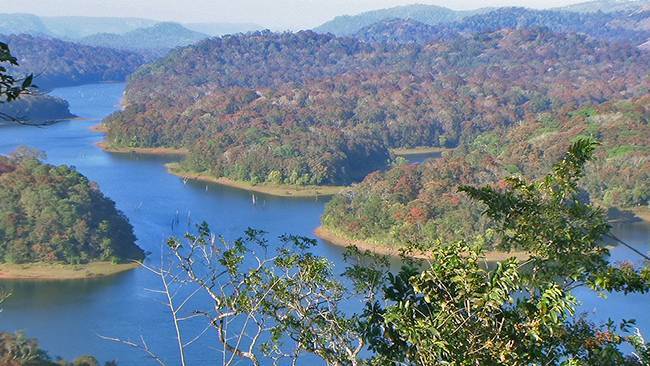 March to October is the best time to visit Dandeli Wildlife Sanctuary. There are plenty of opportunities here for the adventure traveller, besides wildlife and nature exploration activities. You can enjoy white water rafting on the roaring Kali river, nature walks, camping, hiking, angling, bird watching, eco tourism and exploring caves and temples nearby. Not just for white water rafting; Dandeli is also quite popular for kayaking and canoeing. Have you explored your wild side yet? Do let me know if you have been to any of these wildlife parks and what was your favorite moment there.